Stripped out bar-mount threads? Broken or bent frame mount? Lost that dust cover or wanting to put that older damper on your new bike? Fit Kits are combined with the necessary parts and hardware to update your application. 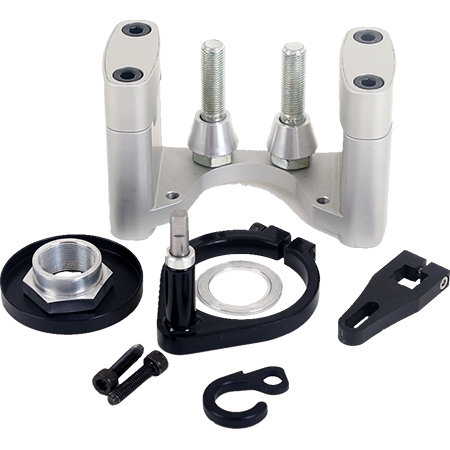 The best way to get the correct parts to mount your steering damper properly is to complete our Fit Kit request form and one of our technicians will contact you with the best solution.